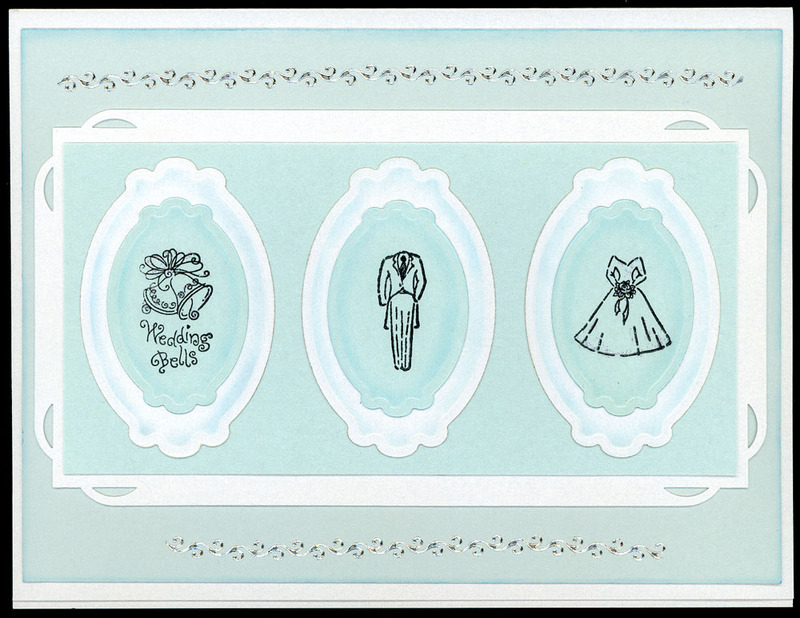 I've got a wedding to go to this weekend and needed a card to include with their gift; so I thought this would be a great time to break-in two of my new Christmas gifts. 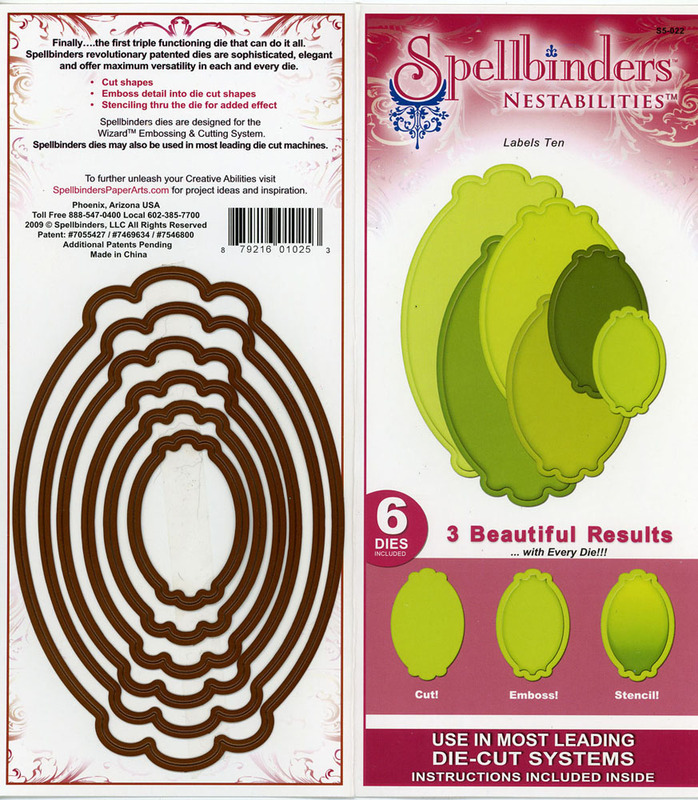 I have a new Sizzix Big Kick and some cool Spellbinders Nestabilities cutting dies that I'm crazy about; so here is the card I created using some items I've had and my two new treasures. 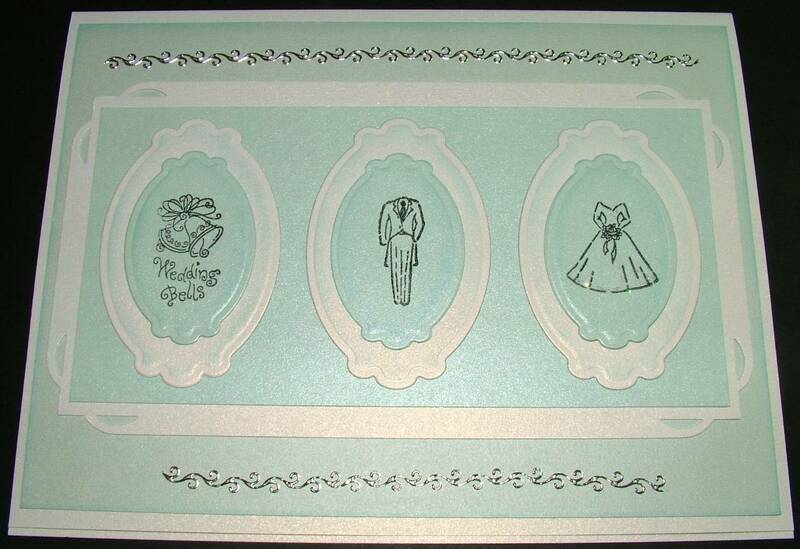 decorative paper punch and pearlized cardstock. 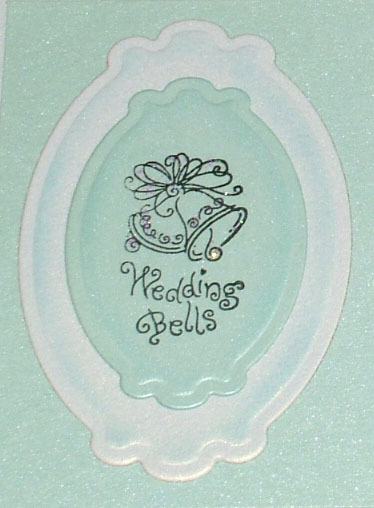 Oh - and there is just a bit of glitter glue on the bells and bride. 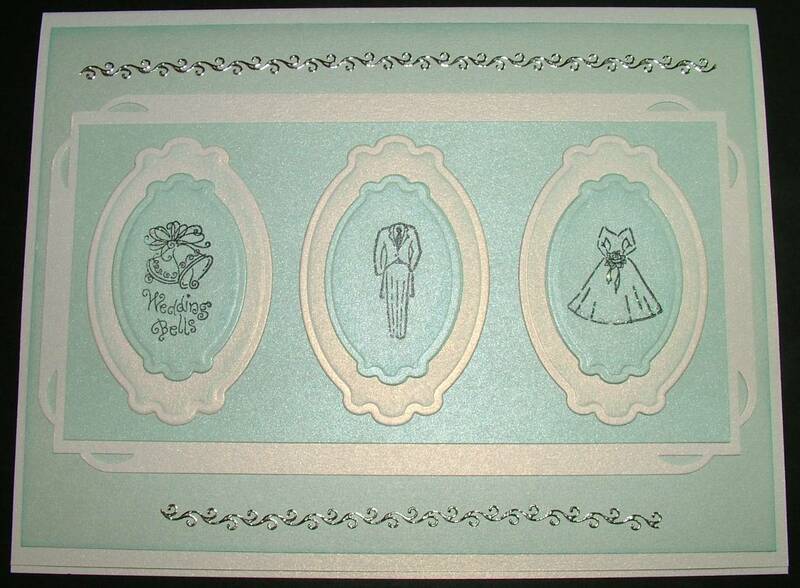 I started by stamping my images on some light blue pearlized cardstock. The shimmer of this paper is amazing in person but I just can't capture its true beauty, so I'll post several different pictures and scans to give you several views of how it looks. 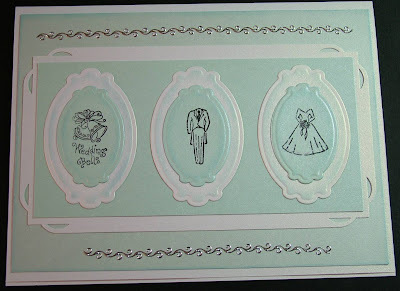 I used the smallest die to cut out the blue pearl cardstock and then the next size up to cut white pearl cardstock mats to act as a frame for each stamped image. I really like the fact that I get several sizes of dies that cut and emboss; which gives the finished die cut a quality look and feel that is not flat. I can also use the die as a stencil to give my cut and embossed item even more depth. Ya, I'm having fun with these. The first pearl white tag has been embossed and the second has been embossed and stenciled. 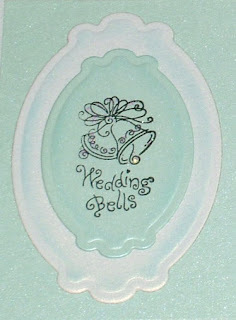 The embossing alone is nice; however this extra step of stenciling really makes the finished product pop. an alligator tool with pom to do my stenciling with this project. on both the blue and white tags. Once I had all three "cameos" I matted them with more pearlized cardstock. 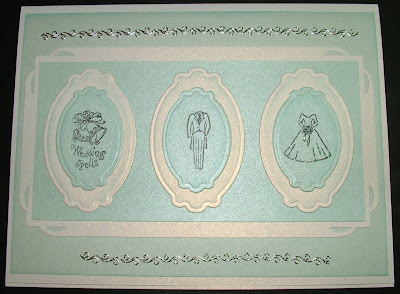 Bonus - I used double sided tape to mount everything and this pearly cardstock has a special satin finish that allows all the items to be removed without damaging the underlying mats. 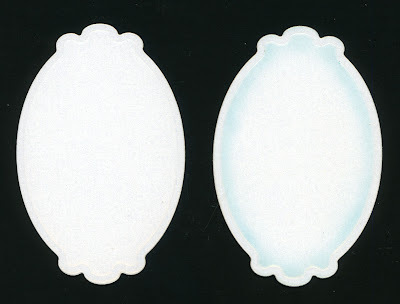 This means all the "cameos" can be removed and used by the receiver for another project or on a scrapbook page if they choose to do so. 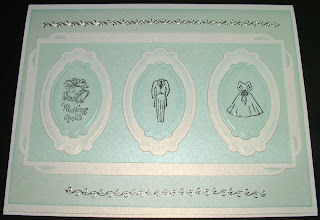 Silver foil stickers were the final embellishment for the card. 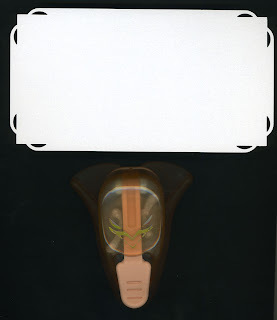 Here is another view of the card taken without the flash. 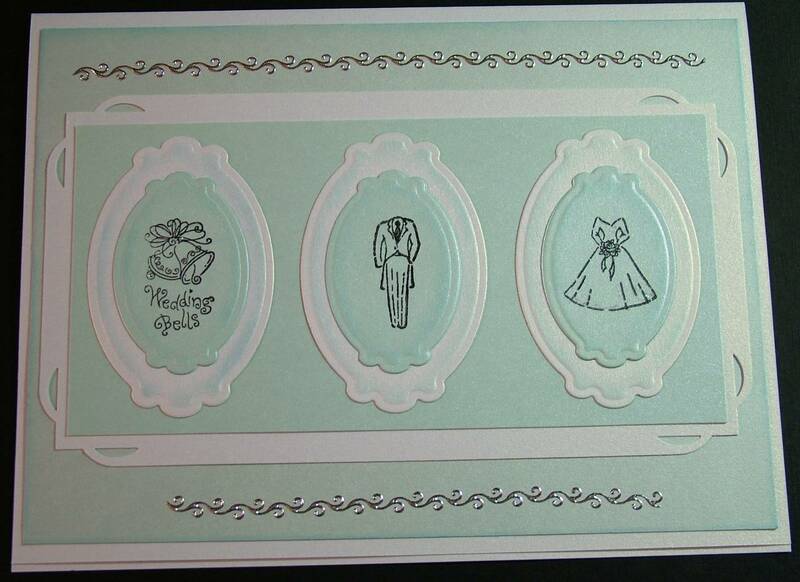 however you do see the embossing and stenciling a bit differently. I seem to collect these great foil stickers from Holland. They add that extra something to projects and help finish them off when you're not sure what else to do. I have them in a variety of styles and metallic colors. I used the above foil stickers for my card. 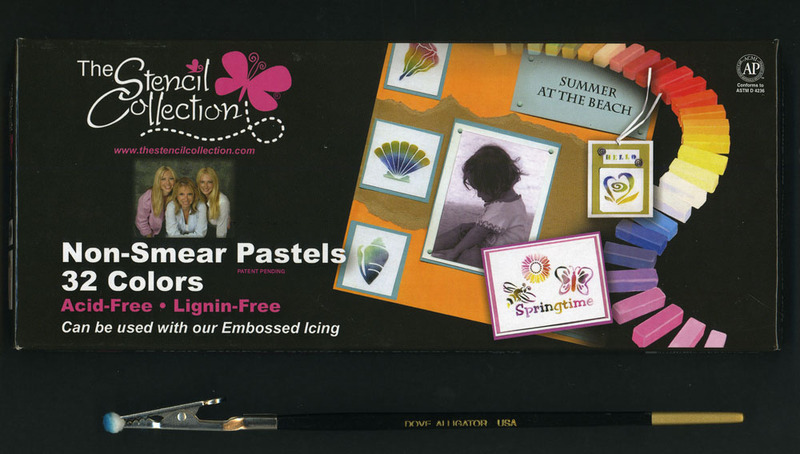 The end rows have been used or partially used so you can see the negative image left behind. The negative portions can also be used if you are careful in cutting it away from the row next to it. these are the two I used for this card. 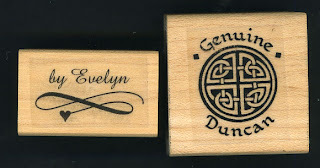 I stamped the Genuine Duncan first and the by Evelyn below it on the back of my card. Here is what the card looked like when I scanned it. it gives you another way to view the finished card. I have the wedding gift bought, the card made and my outfit ready to go, so till next time!